MyCumbria is an initiative exclusively for Cumbrian residents. The idea of this scheme is to promote the very best of what the county has to offer directly to the people who live here. An essential part of the scheme is to support local businesses by generating sales through local tourism, particularly important outside of the main visitor season. It is free to provide an offer to card holders, just contact Sam Tollerson to discuss your ideas. If you’d like some inspiration, visit www.mycumbriacard.co.uk to view what other businesses are currently offering. 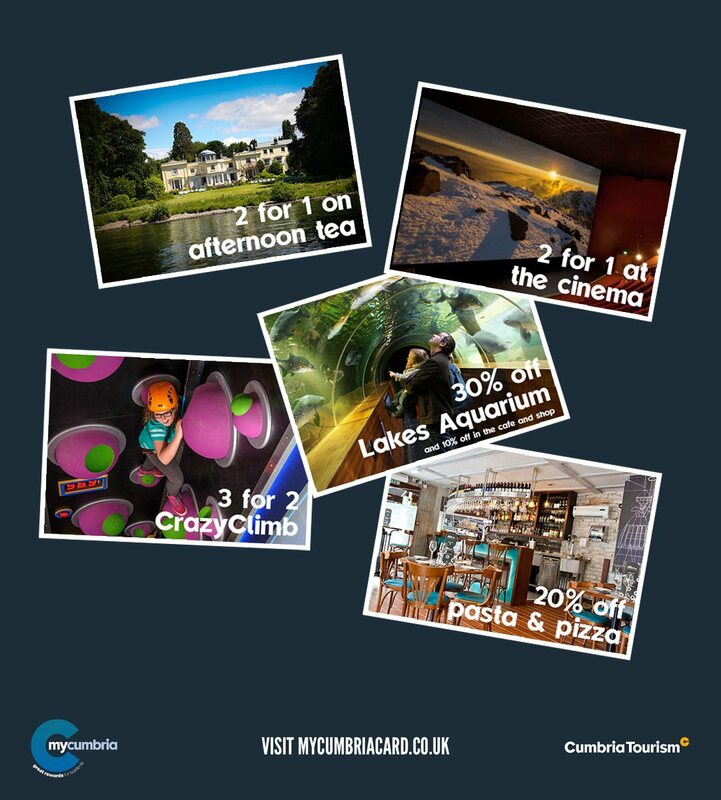 When you provide an offer you receive a free web entry on the MyCumbria website and promotion of your offer in MyCumbria enewsletters and social media pages. A membership card and website based ‘locals’ scheme available to all residents of Cumbria for a small annual fee. The scheme offers discounts/added value at establishments across the county. Informs residents about what is available in their area and across the county, whilst offering incentives to go and try something new. Establishments are all over the county so that there is something on offer for everyone. Dedicated website for the scheme that provides seasonal offers and exclusive benefits. How do I provide a MyCumbria offer? To get advice on the offers and what would work best for your business, please feel free to contact Sam.